We welcome each sincere customer,whether enquiring or purchasing!We have own wedding dress factory in China.Our shop policy is quality first.Also,service is uppermost,so please don’t hesitate to buy from us. 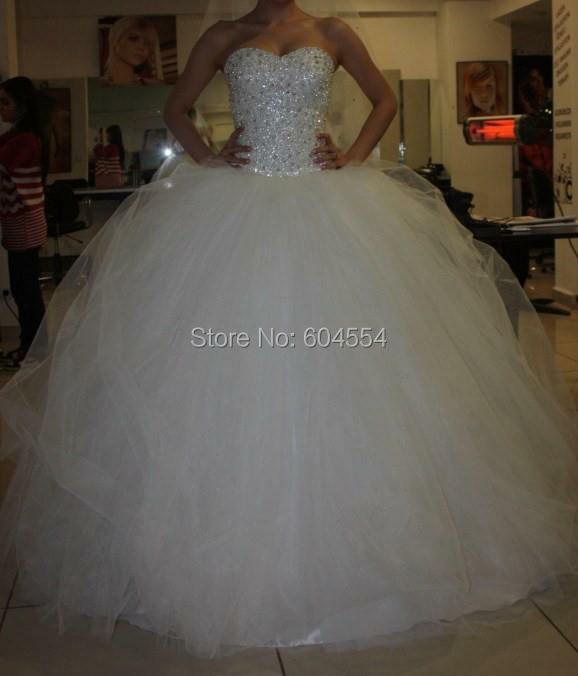 If you have any questions or have an interest in our dress shop and Bridal Add-ons,please feel free to contact us.We purpose to respond to all questions within 6 hours.As a sincere seller,we very gladly provide the best product quality and good service to all buyers,If you have a high quality question,please contact us soon.We will do our best solve it.Thanks!!! This dress closure on the back are lace up detail adjustable. you cannot lose the good chance.You can in accordance with your clothes size choose the stock size,If you can not decide which size you need,we can support you check,you can contact us before order dress.Thank you!!! Please check with your country’s customs office to determine what these extra costs will be prior to bidding. Escrow is FREE secure payment service that is automatically available on all transactions. This service ensures that payment is released to the supplier only after you confirm adequate receipt of your order.You can additionally pay through alternative ways which can be accredited on Aliexpress. Feedback is important to you and me, if you are satisfied with our items and repair,please Post a great feedback for me,We will additionally do that for you,if you are unsatisfied with our items, please don`t give us negative feedback immediately,please contact us first, No matter what happens , We agree with that we can find a best way to resolve the problem .If not, Post Negative feedback is Not late. Thank you for your understanding. We genuinely beg god bless your family have a great luck. Welcome you and your family and friend to our shop once again. Hope our dress could bring happy to you and your family.Good luck!! !